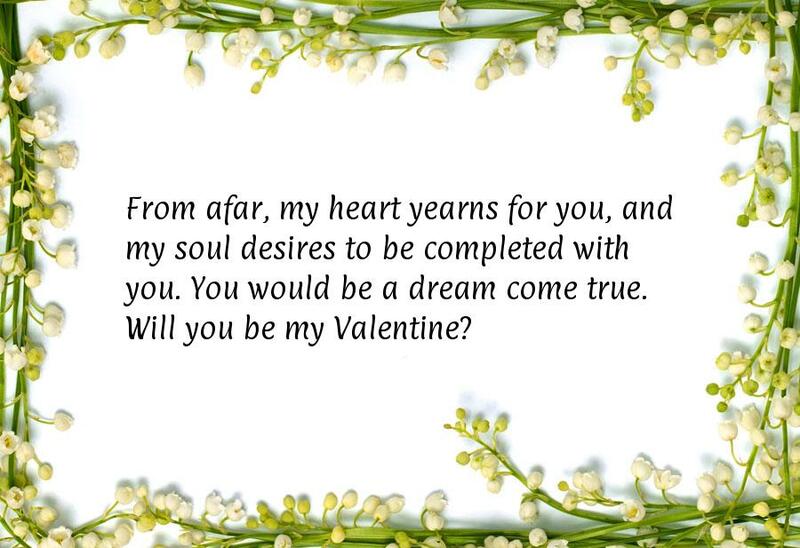 Valentines day is the perfect time to send your loved one a special quote or sms. You have no idea how happy I am that my very own best friend finally found someone that actually makes her happy with no headaches. 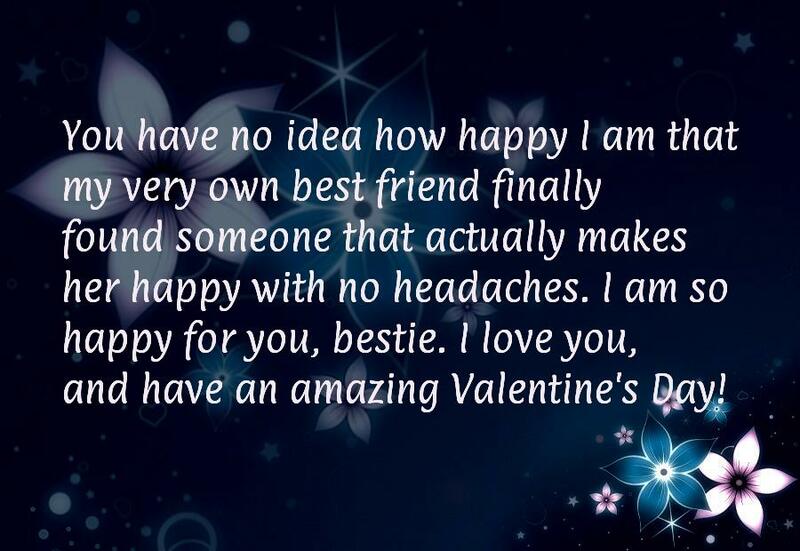 I am so happy for you, bestie. 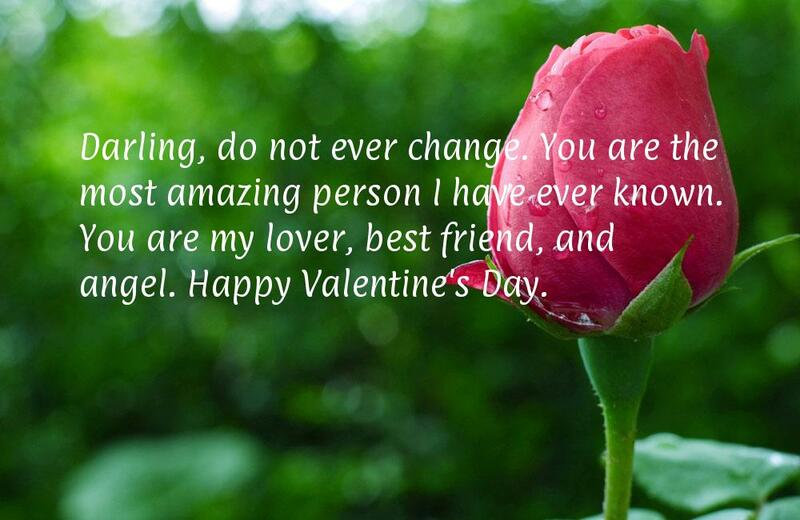 I love you, and have an amazing Valentine's Day! Darling, do not ever change. You are the most amazing person I have ever known. You are my lover, best friend, and angel. Happy Valentine's Day. Life is better now that I have found you, and that you are mine. 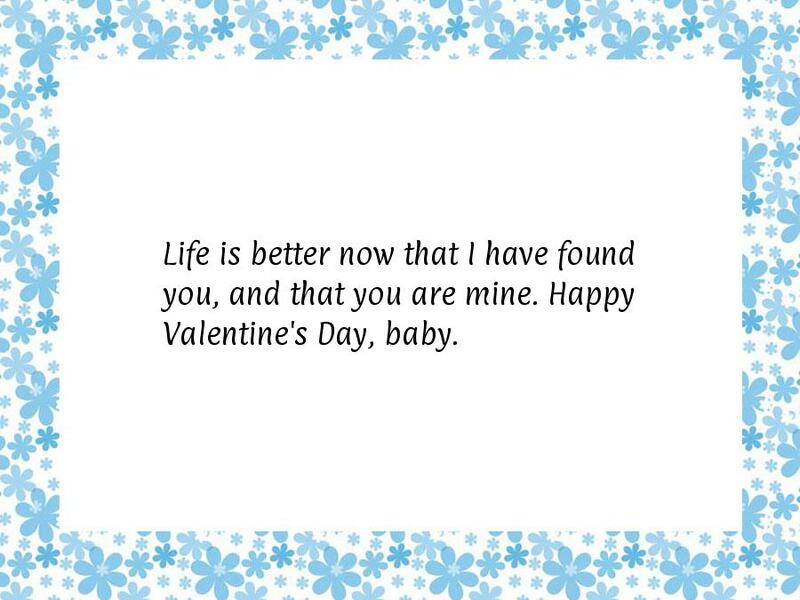 Happy Valentine's Day, baby. I love how your smile just brightens up any room, no matter what. You walk so gracefully, a True Lady. 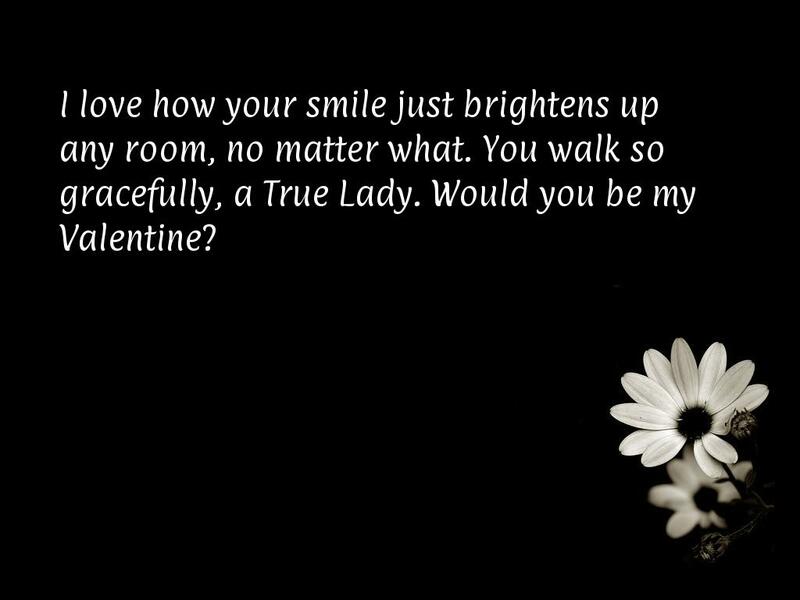 Would you be my Valentine? Being so poetically in love with you, leaving me feeling completely brand new. Thank you for giving me True Happiness. From afar, my heart yearns for you, and my soul desires to be completed with you. You would be a dream come true. Will you be my Valentine?